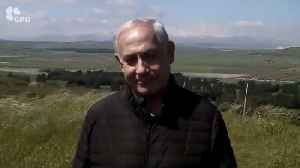 The Trump administration now officially recognizes Golan Heights as part of Israel. 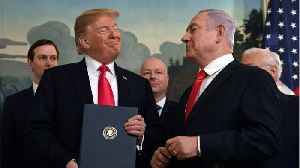 President Donald Trump signed a proclamation recognizing Israel's sovereignty over the disputed territory Monday. Israeli Prime Minister Benjamin Netanyahu was visiting the White House at the time. 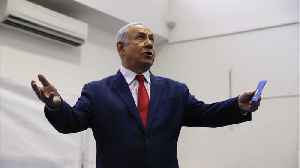 Netanyahu cut the trip to Washington short after a rocket was fired from Gaza into Israel, which destroyed the home of a British-Israeli family and injured at least seven people. 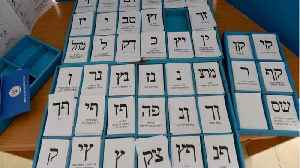 "The despicable attack this morning demonstrates the significant security challenges that Israel faces every single day. 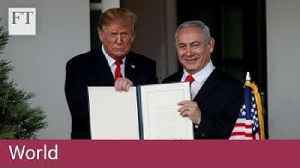 And today, I am taking historic action to promote Israel's ability to defend itself and really to have a very powerful, very strong national security — which they're entitled to have," the president said. 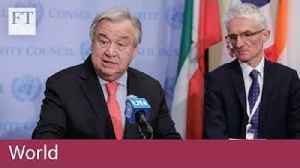 Here's a bit of background on the Golan Heights dispute: Both the U.S. and the United Nations have seen Golan Heights as an occupied Syrian territory for the last 50 plus years. 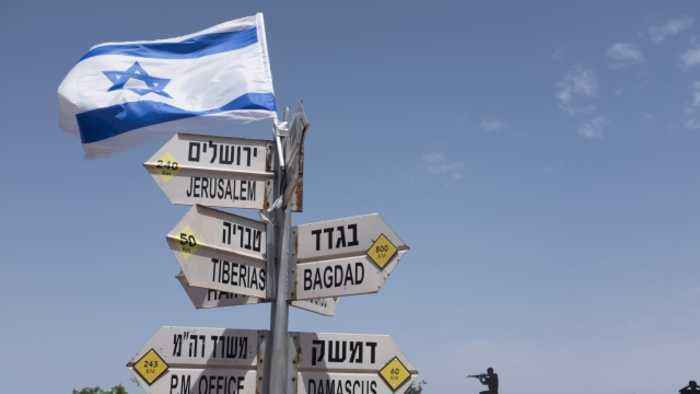 Israel took it from Syria in the Six-Day War of 1967 and annexed it in 1981. The move wasn't ever recognized by world leaders. 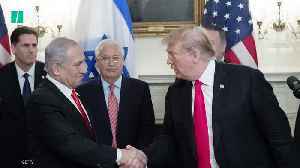 Last week, President Trump pushed for the U.S. to recognize Golan Heights as part of Israel, saying the move "is of critical strategic and security importance." Syria's Ministry of Foreign Affairs responded to the move , calling it "a blatant attack on the sovereignty and territorial integrity of Syria."